The DR-C225W's built-in Wi-Fi allows wireless scanning from mobile, tablet and PC devices. Ideal for sharing among office users, capturing documents at customer retail points and scanning in the home. The DR-C225W with built-in Wi-Fi delivers a better customer experience and faster decision making. It enables iPads®, iPhones® and Android devices to efficiently batch-capture documents directly at the point-of-sale. Important customer data can quickly be validated and immediately sent into cloud-based business workflows and information management systems for faster processing. Businesses can share the DR-C225W wirelessly among corporate departments or small offices. The easy-to-use Wireless Connection Setup tool enables a smoother switching between Access Point Mode and Station Mode (Infrastructure mode). The DR-C225W can also operate using a standard USB connection. Thanks to its unique vertical J-Path document feeding design, the DR-C225W uses less desk space when scanning. The scanner can be conveniently positioned on a small narrow desk, a window-shelf or at customer retail points where space may be restricted. To help teams work quickly and efficiently, the DR-C225W offers high speed, double sided scanning of up to 50ipm in Wi-Fi mode.¹ The 30-sheet automatic document feeder, incorporating ultrasonic double-feed detection, reliably processes a batch of mixed documents. The selectable straight feeding path enables easy scanning of ID cards, photos and 3m long paper. The DR-C225W includes advanced image processing features, including auto colour detection, text enhancement and deskew. MultiStream™ technology allows simultaneous image outputs in different scanning modes. Get a simpler and more intuitive scanning experience with the CaptureOnTouch software's step-by-step, icon-based user interface. 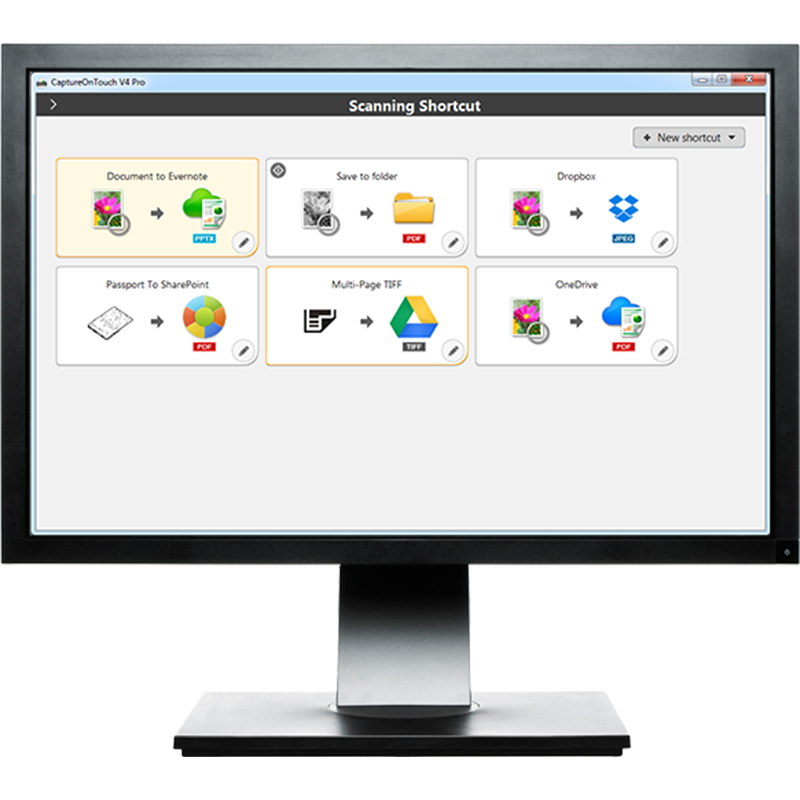 Newly enhanced features put a range of powerful yet easy-to-use document scanning and editing capabilities at your fingertips. 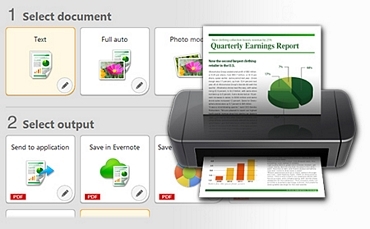 In Full Auto Mode, CaptureOnTouch automatically applies the ideal scanning settings for the document content. This free, downloadable mobile app lets you scan batches of documents directly to your mobile/tablet device, including advanced image processing such as auto document size detection, deskew and blank page deletion. ¹ Scan speeds may vary dependent on Wi-Fi network. Find out more about the Canon imageFORMULA DR-C225W, its features and what it can do. CaptureOnTouch Mobile is an easy to use free application that lets you scan from select Canon’s imageFORMULA scanners directly to mobile devices via a Wi-Fi network.